Bring some “red, white and woof” into your summer with the fifth annual veterans fundraiser “Friends Helping Veterans.” This family friendly event on June 23 at the Decatur Club kicks off the summer-long campaign by Dale’s Southlake Pharmacy and Colee’s Corner Drug to raise money to pair an area veteran with a therapy dog through PawPrint Ministries. At the kick off event, comfort dogs and their handlers will team up at four different stations, each with a local celebrity bar tender and specialty drink, in a friendly competition against each other to help raise funds. 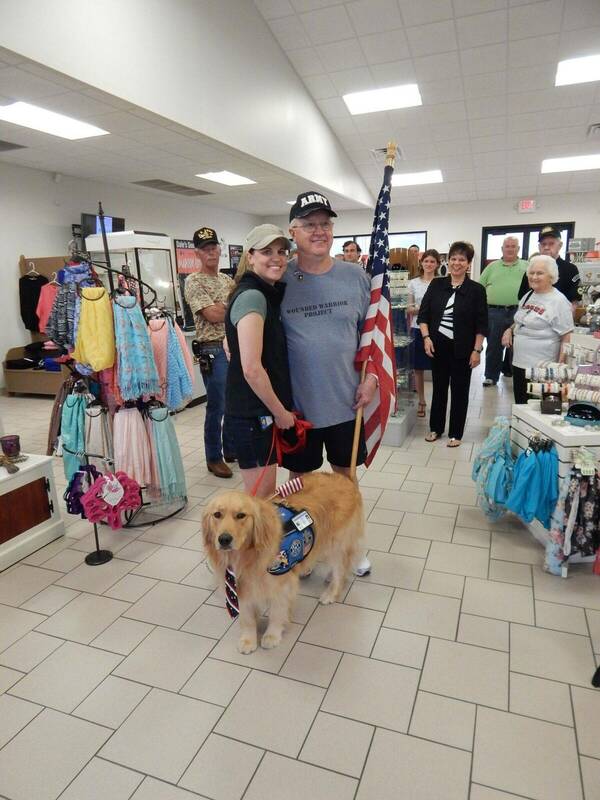 The money will go toward training a puppy and veteran to work together as a team through PawPrint Ministries to go into the community and help other Central Illinois veterans. Also, for every $100 raised, Pharmacist Ron Stevens plans on walking one mile along with dogs from PawPrint Ministries. “Friends Helping Veterans Kick-Off” will go from 5 to 7 p.m., Thursday, June 23 at the Decatur Club located at 158 W. Prairie Ave, Decatur. Donations will be accepted until August 15th, 2016. To RSVP, get more info, or to make a donation contact Lauren Young at (217) 429-5165.